DETROIT (Bloomberg) -- Ford Motor Co. said its pretax operating profit will be "substantially lower" in the second quarter in part because overseas losses tripled from the year's first three months. Ford will be profitable and have positive operating cash flow in the three months ending June 30, according to a filing with the U.S. Securities and Exchange Commission. Ford said it expects "strong results" from its North American operations and Ford Credit, while pretax losses in Europe, South America and Asia could reach $570 million. "Our operations outside of North America are under increasing pressure," the company said in the filing on Thursday. "Our combined results for the second quarter for Ford South America, Ford Europe, and Ford Asia Pacific Africa could be a loss of about three times as much as the $190 million pretax loss incurred by these operations in the first quarter." Ford said market conditions in Europe have "deteriorated significantly" since the beginning of the year and it expects pressure on profit margins in the region "for the foreseeable future." The automaker also will incur costs from introducing new models this year, including a new Fusion sedan and Escape sport-utility vehicle in the United States. Ford has previously said it expected to lose between $500 million and $600 million in Europe this year as a stubborn sovereign debt crisis saps consumer confidence and lowers auto sales industrywide. That has left the region with too many auto factories as vehicle demand declines. 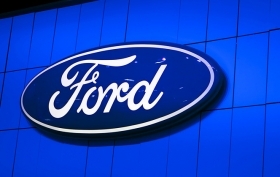 Ford had a pretax loss of $149 million in Europe in the first three months of the year. Ford has not said it will close a plant in Europe. The company is developing new plans for the region, said Jay Cooney, a company spokesman. "It's too early to say what those plans involve," Cooney said in an interview. "Our philosophy is to always align capacity with demand." General Motors Co. is attempting to revamp its European operations, which have posted losses of $16.4 billion since 1999. Automakers are discounting heavily in Europe to try to stimulate demand, which is corroding profit margins. Closing excess factories in Europe is difficult because of strong labor unions and government resistance. Ford said the "serious economic crisis" in Europe is "compounded by an intensifying competitive environment as manufacturers react to lower consumer demand and excess production capacity." In Asia, Ford is losing money because it said it "continues to invest and pay for future growth." Ford is spending $4.9 billion on nine new factories in Asia and introducing 15 new models by 2015 in China, where it had 2.8 percent market share last year, trailing GM and Volkswagen AG. Losses in South America are due to "growing competitive and pricing pressures, as well as weakening currencies and unexpected and adverse changes in government policies affecting areas such as trade and access to foreign currency," Ford said in the filing. Even North America, where Ford earned a pretax profit of $2.1 billion in the first quarter, the most since at least 2000, is under pressure from costs of the new model introductions, the automaker said. "We expect the second quarter to be profitable, although strong results from Ford North America and Ford Credit will be partially offset by the combined results from our operations outside of North America," Ford said in its filing. "We are developing actions to address the challenges outside of North America." Ford Credit is the company's consumer-finance unit. Ford said it's "evaluating the impact of the pressures outside of Ford North America" on its full-year forecast this year and will provide an update when it releases second-quarter results next month. Ford has said it expects total company pretax profits to be "about equal" to 2011's $8.8 billion or $1.51 a share. For the second quarter of 2012, we expect the Company to be profitable, with positive Automotive operating-related cash flow, but we expect pre-tax operating profits excluding special items to be substantially lower than the same period a year ago. As noted in our quarterly report on Form 10-Q for the first quarter of 2012, we are incurring costs in the second quarter associated with new product launches and additional production capacity in Ford North America and Ford Asia Pacific Africa, for which the associated volume and revenue benefits will not be fully realized until the second half of the year. We continue to expect good results for Ford North America and Ford Credit during the second quarter, but our operations outside of North America areunder increasing pressure. In fact, our combined results for the second quarter for Ford South America, Ford Europe, and Ford Asia Pacific Africa could be a loss of about three times as much as the $190 million pre-tax loss incurred by these operations in the first quarter. The issues we face outside of Ford North America are somewhat different by region. Ford South America is facing growing competitive and pricing pressures, as well as weakening currencies and unexpected and adverse changes in government policies affecting areas such as trade and access to foreign currency. In Europe, the situation has deteriorated significantly since we gave our guidance at the beginning of the year. Given our strong presence in the region, we are impacted by the serious economic crisis, compounded by an intensifying competitive environment as manufacturers react to lower consumer demand and excess production capacity. As a result, we have experienced a decline in margins in Europe and expect this pressure to continue for the foreseeable future. Ford Asia Pacific Africa continues to invest and pay for future growth, while not yet fully realizing the associated revenue of new products and facilities. While our volume is up in the region, our investment and growth costs are rising faster for now. In all, we expect the second quarter to be profitable, although strong results from Ford North America and Ford Credit will be partially offset by the combined results from our operations outside of North America. For the full year, we continue to expect to be solidly profitable and to generate positive Automotive operating-related cash flow as a result of the continued strong performance by Ford North America and Ford Credit. We are evaluating the impacts of the pressures outside of Ford North America on our full-year guidance, and as usual we will provide a comprehensive update in our upcoming quarterly earnings announcement. Consistent with our One Ford plan, we are developing actions to address the challenges outside of North America to strengthen and improve our business.